What makes a good infographic? Are there different kinds of infographics? What do I need before I start making an infographic? Where should I start? What program should I use to make the infographic? Over the past few years, we’ve seen a marked increase in client requests for infographics — some clients want us to make them, others want to learn how to do it themselves. To address the growing interest, we’ve developed a series of three blog posts on this effective visual storytelling tool. This week, we’ll examine what makes a good infographic. In the next post, Trish explores how to communicate health research outside of academia through data visualization. Finally, Joanne Wincentak, knowledge broker for Holland Bloorview Kids Rehabilitation Hospital in Toronto, shares seven tips for creating visual knowledge products for people who don’t consider themselves designers, using a Visme infographic. I’m a firm believer in the power of storytelling. Infographics, used correctly, are simply a means to increase the reach, impact, or clarity of a story. Like any good story though, infographics need a raison d’etre — ideally a communications goal, which Trish will touch on next week. 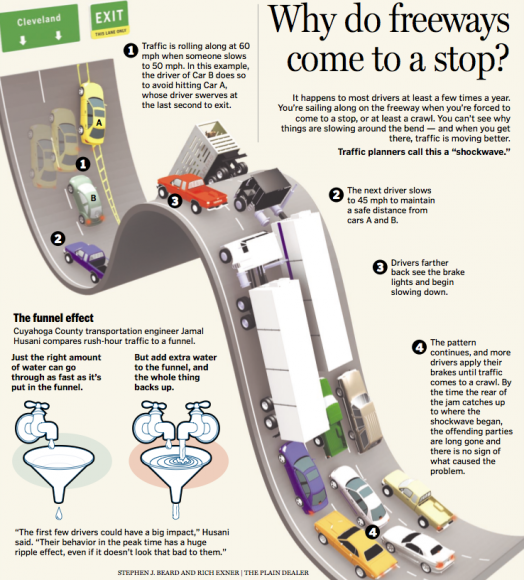 That goal, combined with the content of the story, will dictate the form an infographic should take —i.e. how to best tell the story. Today, we’ll explore some of my favourite types of infographics and why they work. I’d say most health research-based infographics tend to fall into the visual storytelling camp. Typically, they’re comprised of an assortment of facts focused on a specific topic which could simply be written in a document, but are more easily explained and recalled with the aid of visual diagrams, icons, charts, and illustrations. 2–3 groupings of information (in this case, the intro, the 4-part explanation, and the funnel metaphor). Note the limited use of text — everything is short, simple, and to the point. Infographics longer than a single printed page tend to be reserved for online applications, such as email, social media, and webpages. This one, The (Exercise) Science of Injury Recovery, expertly demonstrates a clear content hierarchy that allows readers to scan for info they may be interested in. 3-second main message (The science of injury recovery [for] ankle sprains, concussions, ACL tears, and UCL tears) — after reading this, your audience should be able to assess whether they care to read more. Note that this content is the most prominent (bold), and features the same font and colour to tie it all together. If you’re presenting research findings, this message should highlight your main finding (i.e. x may cause cancer) instead of the research question (i.e. does x cause cancer?). Remember, don’t make people work harder than they have to. 30-second supporting message (An ankle sprain is the stretching or tearing of the ligaments within the ankle. Most common in basketball and soccer. Watch for swelling, bruising, and pain when there’s weight on the foot [plus similar insights from the other three conditions]). Again, this content is highlighted through the use of accented text (subheads) and icons/visuals. Many people will not read past this layer, but it should be enough to give them a fair understanding of your message and know whether they want to share it with others. 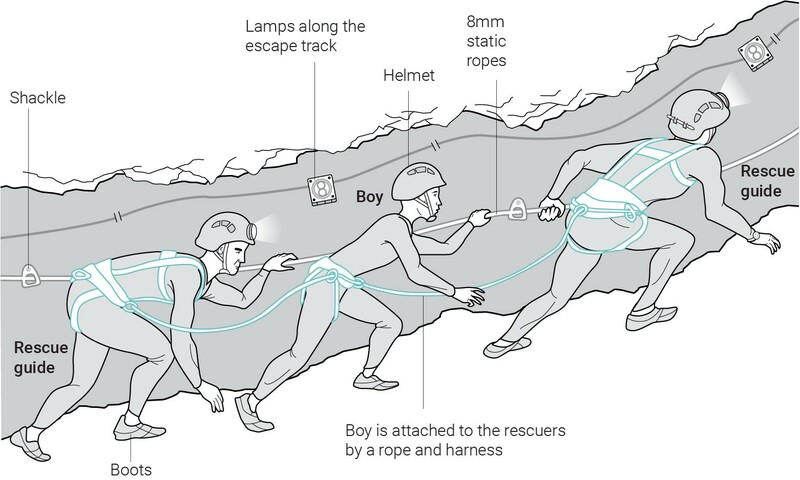 Every once and a while, an in-depth story comes along that is so compelling, multi-faceted, novel and topical that a long-form infographic is the only way to do the story justice — like this one on How the Thai cave rescue mission unfolded (You’ll need to click the link to experience this rich infographic — the illustration below is only a tiny portion of the story). These are in-depth stories enriched by multiple smaller infographics, charts, illustrations, animations, and sometimes video that help us better understand and appreciate the various elements, scope, and milestones of the narrative. They are an excellent KT tool for when we know readers will be engaged and want to dive deeper into the information (for example, students), and caters to a wide range of learners (visual, spatial, aural, and sometimes even kinaesthetic). This is perhaps my favourite data visualization. I first saw it in The Best American Infographics 2013, and they’ve evolved it since then with a more in-depth analysis of the data. The genius behind the visual is it’s ability to simplify what I can only imagine to be reams of data into a extremely succinct summary. There’s very little interpretation required (most people I’ve shown it to can read it quite intuitively), and yet it tells us way more than what simple text or a few charts ever could. 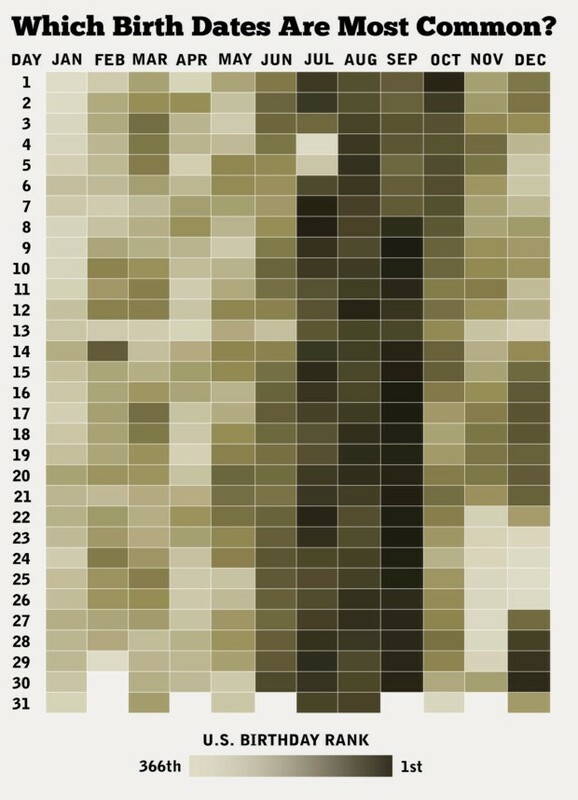 Notice, for example, the sudden uptick in birth rates on Valentine’s Day (February 14), or the concentration of births in the summer months (and the corresponding lack thereof over the winter holiday season and American Thanksgiving)? Or the lighter band that runs across all “13th” days, which seems to suggest it’s a very unpopular date to have a baby? And I know you already checked out your own birthday. I must acknowledge that most data isn’t clean enough for this type of presentation, but I would encourage everyone to seek out novel ways to present data to the reader–but remember, don’t make them work too hard by making them learn how to read it (it should be intuitive, or at least quickly understood). Here’s another example of showing a ton of data in succinct form through visualization, summarizing gay rights by state. 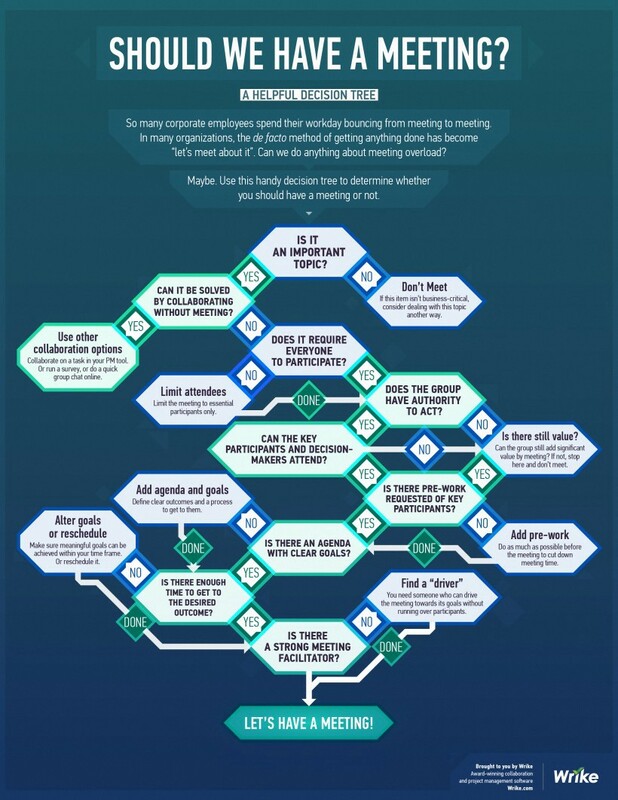 Flowchart infographics are excellent visualization tools for presenting a sequence, chronological story, or a decision-making process. This one, Should We Have A Meeting?, presents a clear raison d’etre that is topical for many people, and offers a well-thought out process that was likely mapped well before any design elements were conceived. The flow indicators (the little arrows within the yes/no boxes) are a little hard to pickup which detracts a bit from the reader’s journey, but the content is very smart and makes for a solid entry. 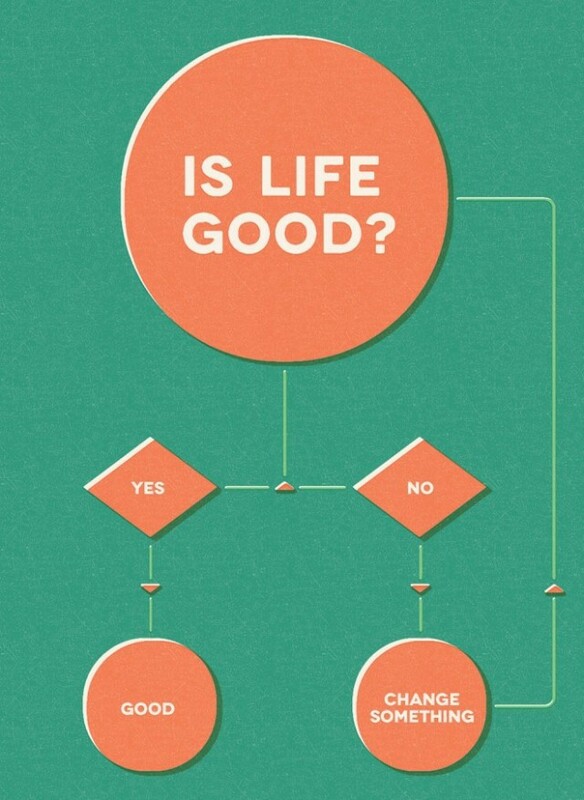 Flowcharts shouldn’t be too complex with a bunch of intersecting arrows going every which way (unless you’re trying to make a point about complexity) — for example, Is Life Good is perhaps the most well-known flowchart infographic, and it couldn’t be more simple. Comparison infographics are great for juxtaposing two or three variables, in this case, Extrovert vs Introvert, Understanding the Differences. Note there is a strong alignment between the two things being juxtaposed — one fact is presented, and the alternative is directly opposite for easy comparison. And it’s not just the text – the illustrations, headlines and colours all reinforce the juxtaposition, and make it easy to follow and reference. Remember how we talked about content hierarchy and the 3–30–3 rule? This is another great example, save for some of the spelling and grammar errors (which even I missed, because I was being lazy and had only read up to the “30 second layer” before my fellow editor pointed it out). https://i.pinimg.com/564x/19/97/59/199759e4b6b0f55e4cca6c677cdcedb0.jpg — Authorship unknown. If this is your work, please let us know so we can properly link to it. If it’s large-scale local awareness you’re going for, a simple infographic probably won’t do (but could be a great supplementary or follow-up piece). Instead, immerse people in the data in real life. This art installation, for example, illustrates the complexity of the terms & conditions of using popular social media platforms, which we often mindlessly click “I agree” to. But making it life-sized creates an opportunity to confront people with information they’re perceptually blind to in an effort to spark discussion and perhaps even change perspectives. Marketers have been doing things like this for decades. There are plenty of other types of infographics, but I hope this article has inspired you to consider infographics as a potentially valuable KT tool and perhaps even make your own. If you’re hungry for more, there’s more excellent infographics on sites like Wired, South China Morning Post, Visme, and of course watch for the other two posts of our series in the coming weeks! Patrick Faucher is the Strategic & Creative Services Lead for the Knowledge Translation platform at the George & Fay Yee Centre for Healthcare Innovation (CHI). A communications strategist with over 10 years experience, he specializes in creating content engineered to build awareness, understanding, engagement, and adoption through an approach rooted in design thinking (rapid prototyping) and behavioural insights (nudging).